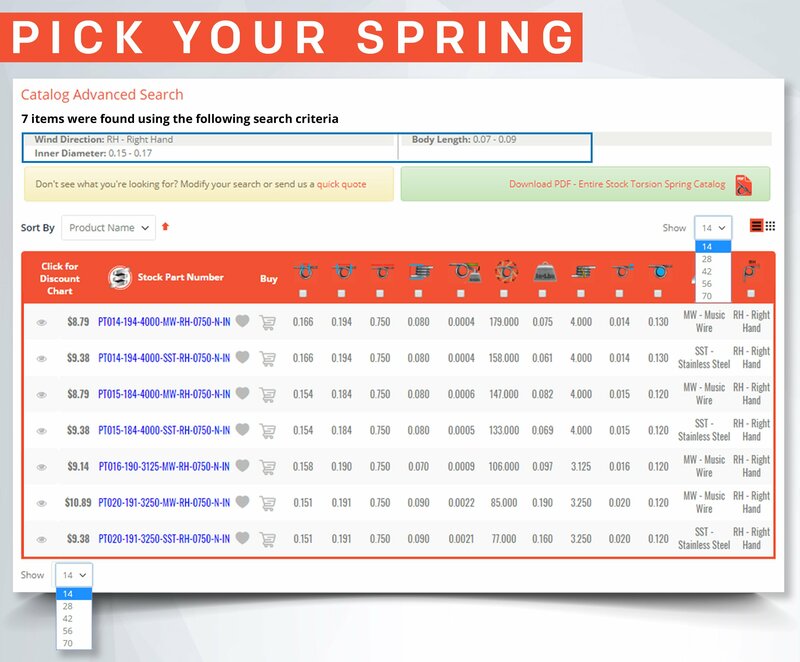 What is Spring Creator Calculator? 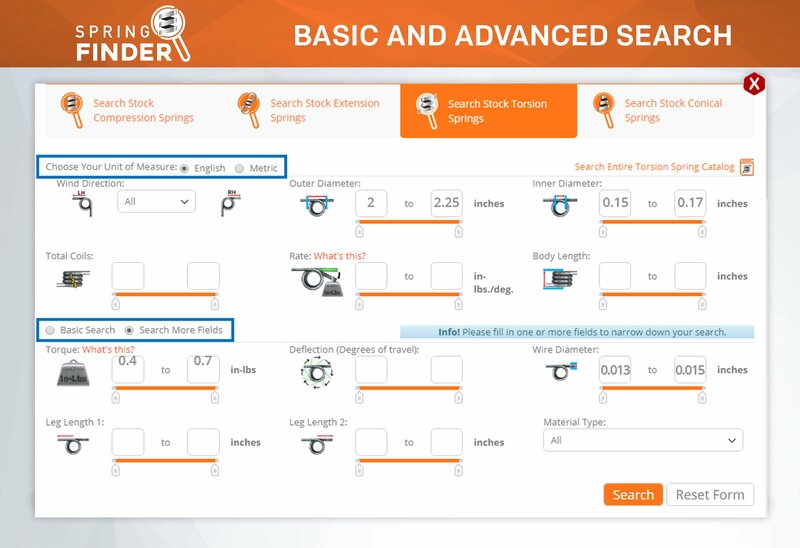 It is a special online tool that we have exclusively created to help simplify the spring design process. 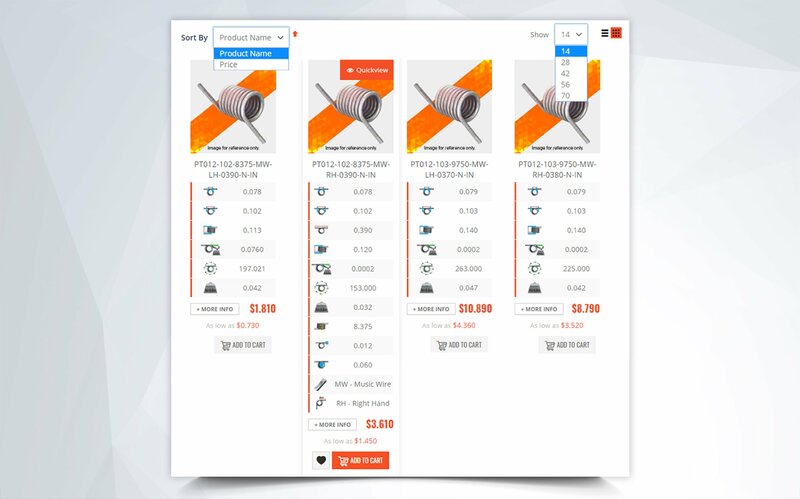 It is available for free in our websites. 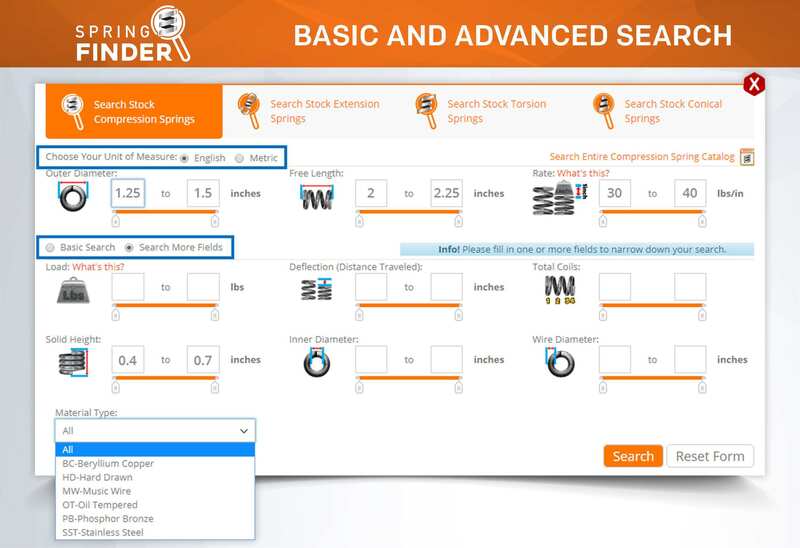 This tool generates a full spring analysis and live 2D blueprint based on your physical dimension inputs. 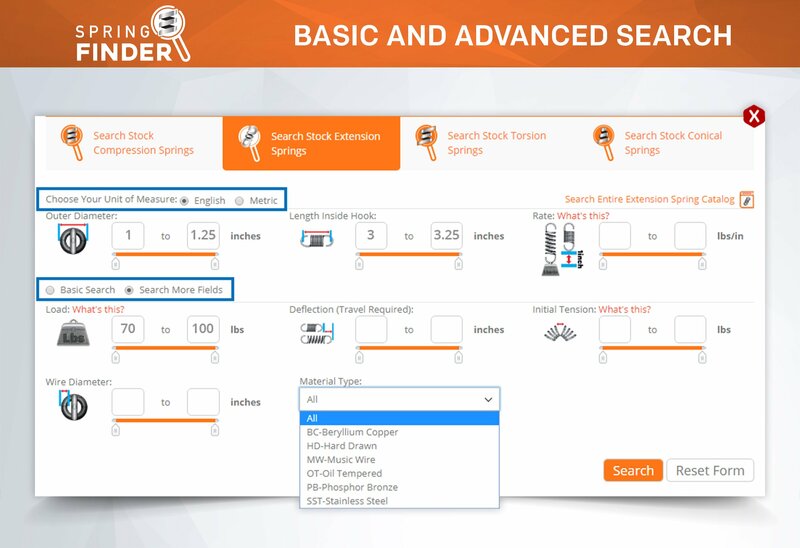 It also runs a quick search and mentions the springs in stock that most closely match your design. 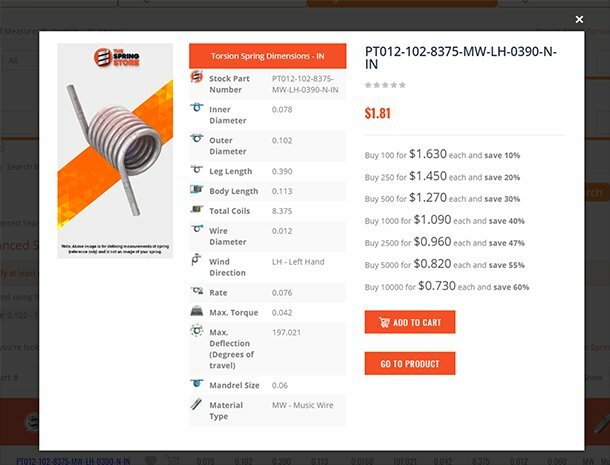 All you have to do is select an end type, input the wire diameter, outer diameter, free length, number of active coils, material type, and click “Calculate”. 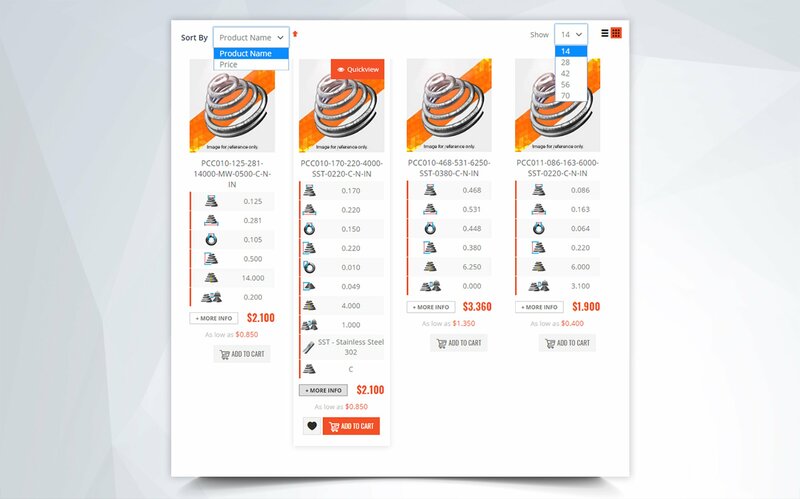 Once you’ve done this, Spring Creator will calculate the rest of the values pertaining to your design. 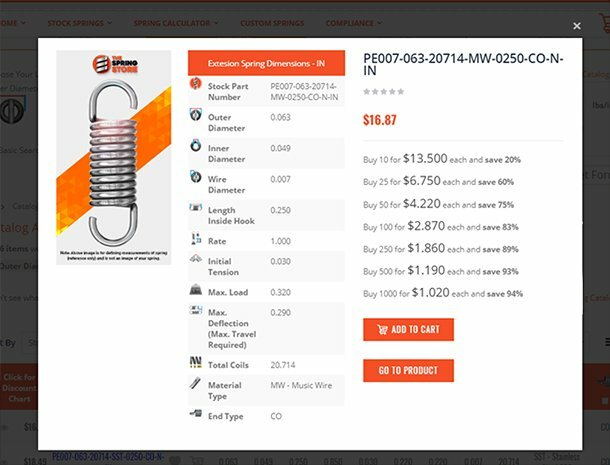 There you can verify if the spring can withstand the load you require, how much it will deflect, what is the rate etc. 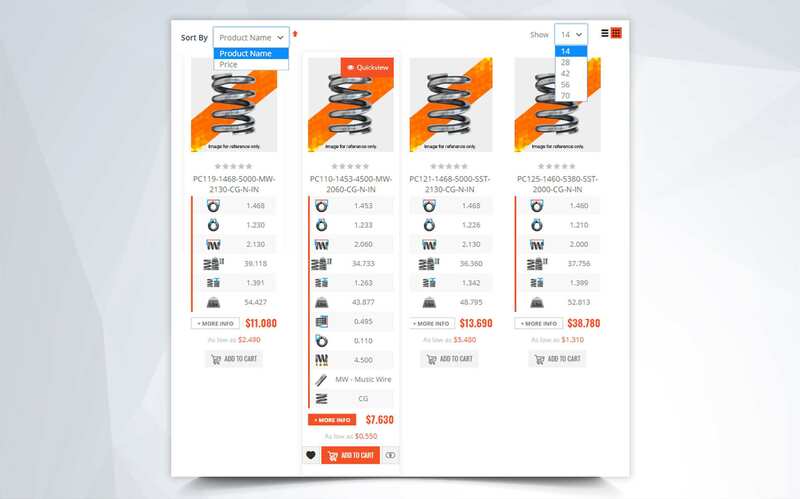 Next to that information, you will see a section that lists “Your design’s similar springs in stock”, and below that, you will see an icon with a link that says: “Email your blueprint and quote”. 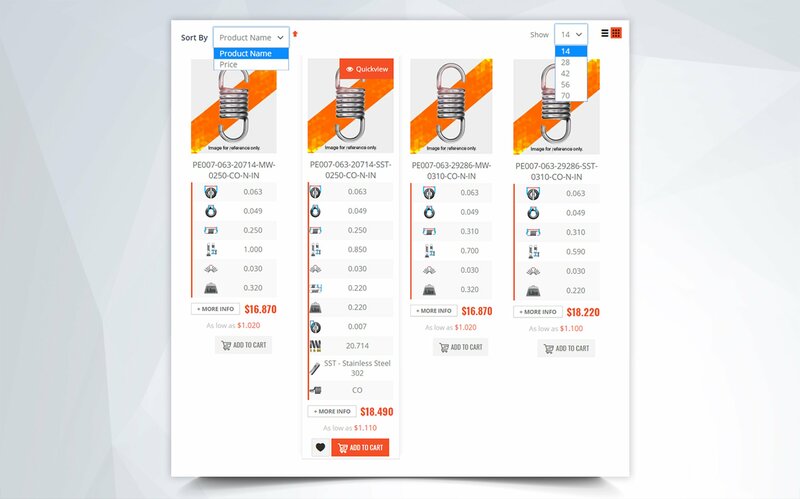 You can click there to email the quote and blueprint to yourself or a colleague, or scroll all the way down to just generate the blueprint. 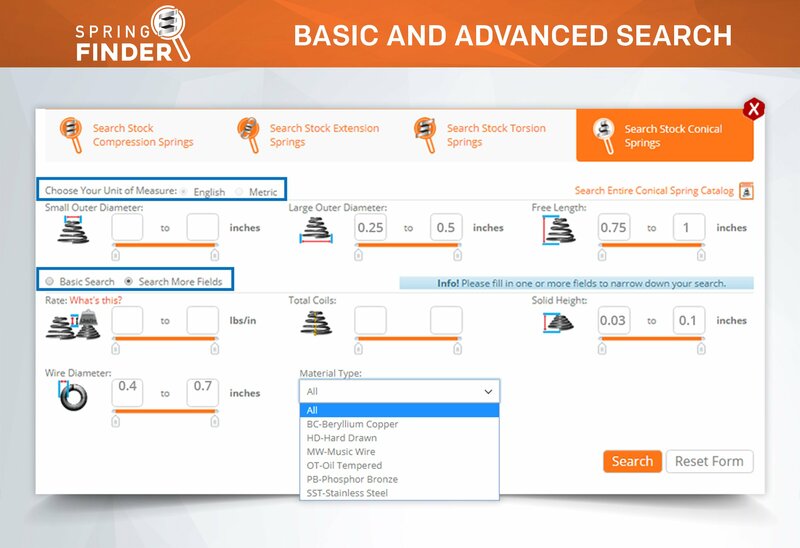 In the 5th step, you can also enter your working loads to verify that the working loads and loaded height meet your expectations. 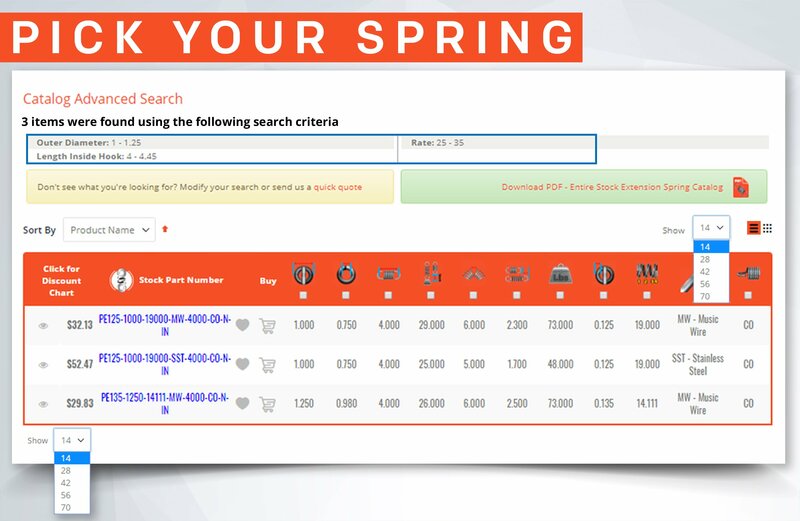 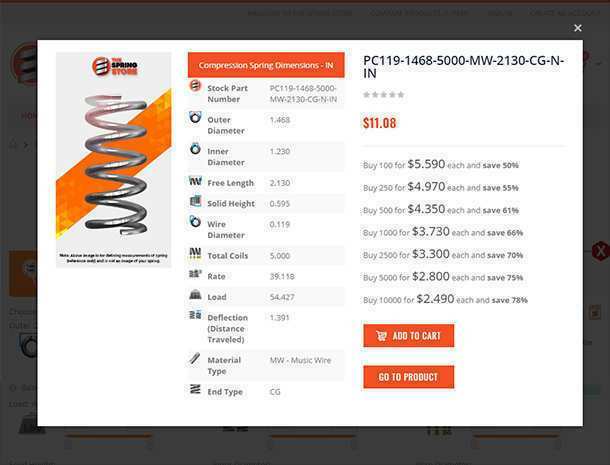 Using our spring creator calculator will simplify the entire custom spring design and purchase process, and facilitate your acquisition of the ideal spring. 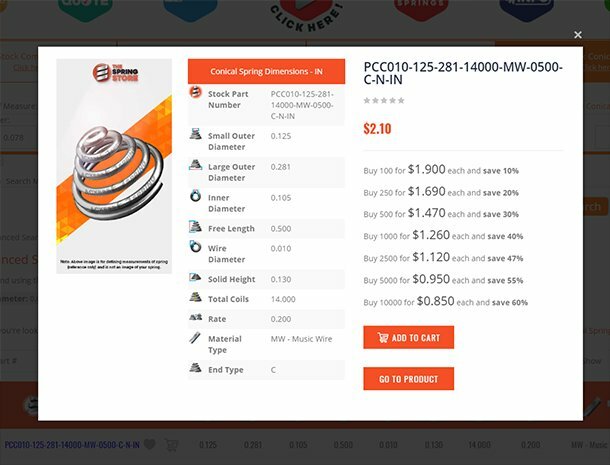 No matter what type of spring you need, whether it is compression, extension, or torsion, you can use Spring Creator to design, adjust, and place your order. 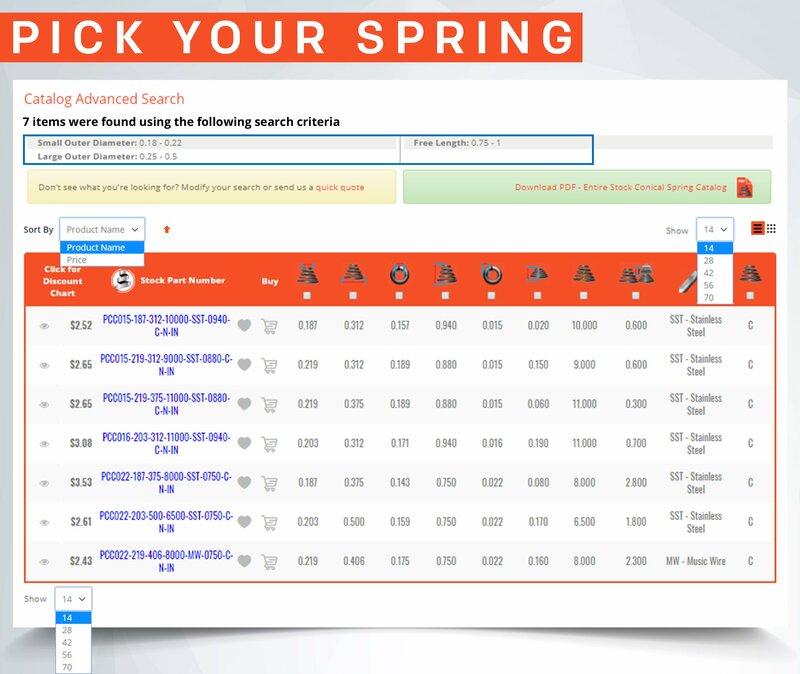 All you need to do is visit our Spring Creator Calculator here. 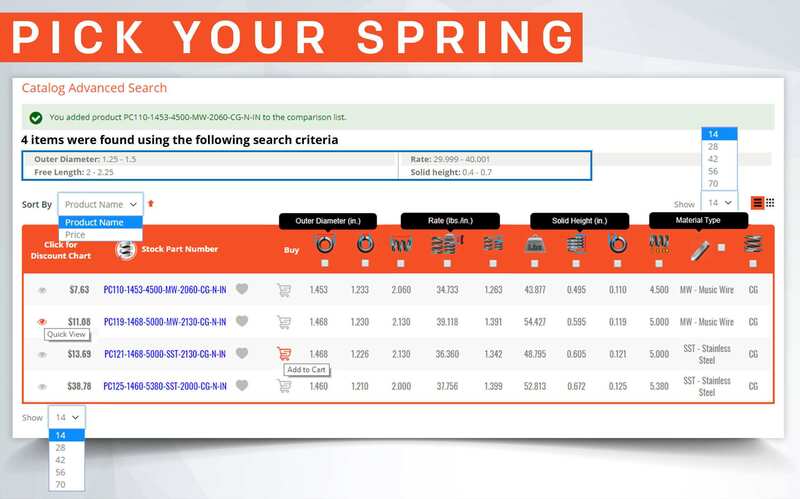 You may also contact us with any questions or doubts or place your order via email at sales@thespringstore.com.